You, me and every other soul on the planet must be seeing new Volkswagens on at least 95% of our days. What else would you expect with a production of 5,272,000 vehicles a year (that’s 2011). And yes, that’s excluding the nine other brands that are part of VW AG. And excluding any commercial vehicles too. 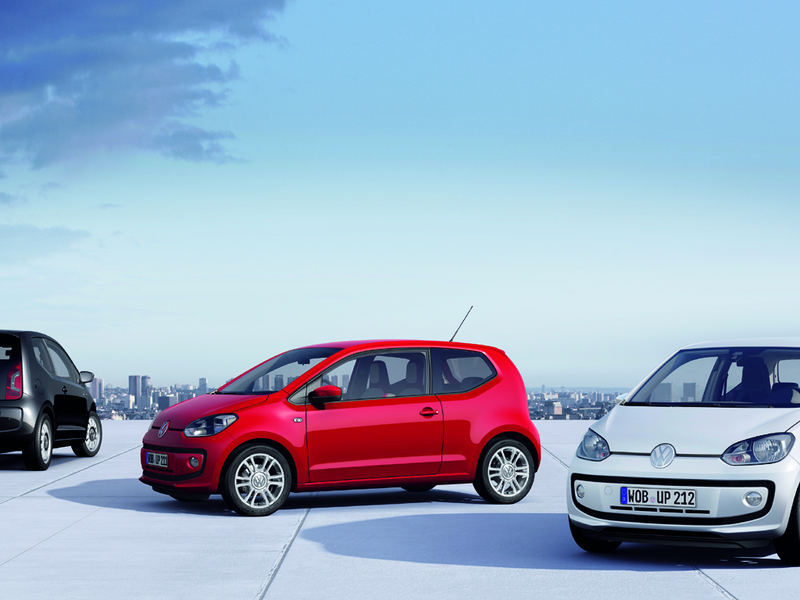 5.3 million Volkswagen passenger cars, that’s what they produced. And they all look the same. Some marketing bigwigs at the VW headquarters in Wolfsburg must have decided a couple of years ago that brand identity is the way to go these days. That it’s all about brand recognition, baby! And so they ordered the VW design staff to come up with a family face that they subsequently transplanted onto all of their models. There hasn’t been a VW model that isn’t a literal copy of any other model, be it sized up or down by x%, with a bum stuck on or cut off and more or less interior space. They don’t distinguish and they all use the same engines too. 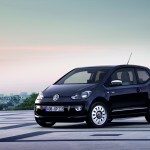 The result is that no one, except perhaps car fetishists and purists like ourselves, sees a Polo, Golf or Passat anymore. It’s a VW being driven there, simply a Volkswagen, with the size determining whether it’s a low or high level corporate employee behind the wheel. Don’t get me wrong, a VW looks good. Not mouthwateringly smashing, but good, just good. 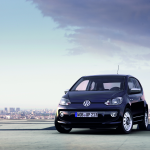 A VW’s looks are a bit like ground meat’s taste: everybody likes it, few people truly love it. 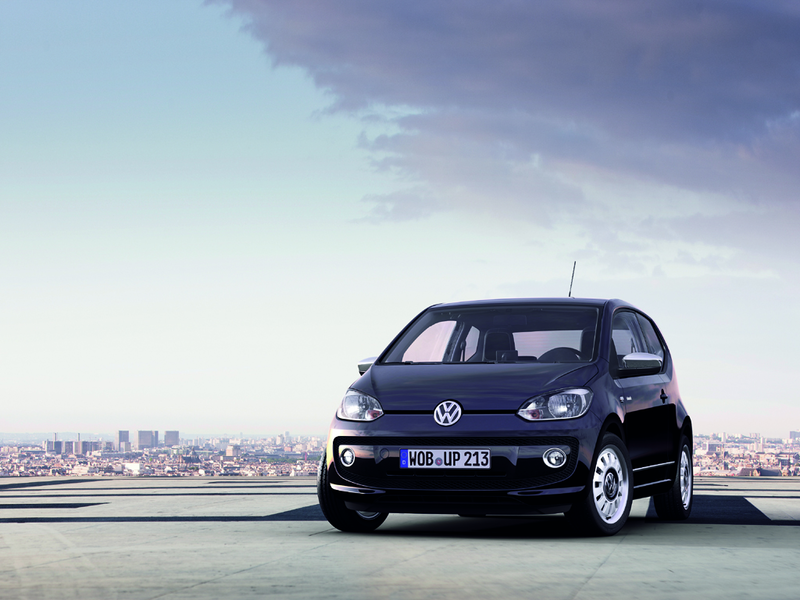 But then again, you buy a VW for its decency, its solid image, its high resell value and for the fact that it’s German. Not for its looks. Nor for its sense of identity. Until now! 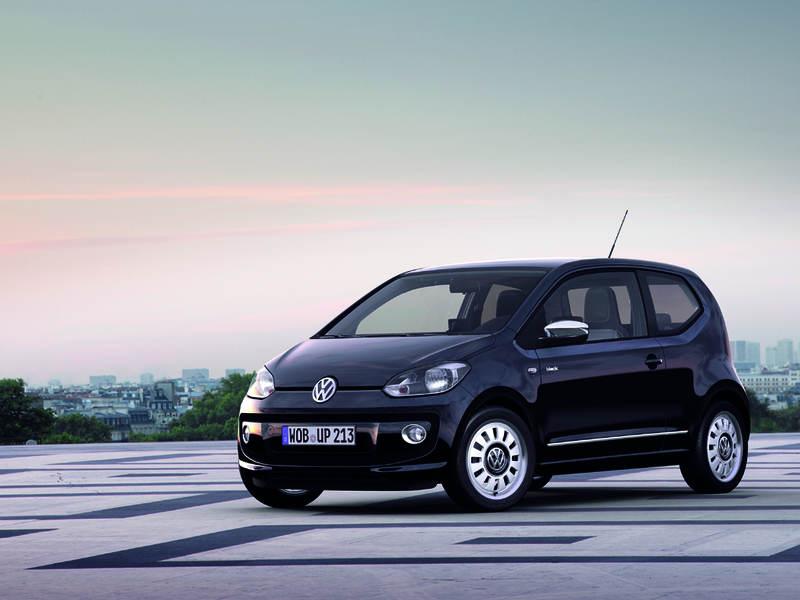 Because all the way at the lower end of the automotive model spectrum, VW introduced the up! – I didn’t put that exclamation mark there, VW did. The up! is a cheerful looking car, clearly designed to make its owner look like he or she has identity. It has a smiley clowns mouth, it’s fresh, it’s hip and it’s green, even if you can’t even get one in green. It just works for its target audience, guaranteed. I wish VW would think more about identity with every model they designed. Maybe the up! 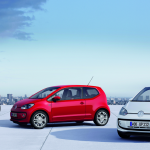 means VW are indeed moving up in that direction. This entry was posted in News and Views and tagged audi, car, Golf, interior space, LS, LV, mini, MoT, Polo, UP!, Volkswagen, VW, VW AG by The Flying Dutchman. Bookmark the permalink.